The Chinese phone maker Xiaomi is rumored to launch their successor of Mi 8 in March this year.As usual it will be known as Mi 9.The latest rumor not only revealed it's launch but it also brings full features and price.However,let us have a look at expected features of this Mi phone. Like Mi 8,the successor will come Super AMOLED display and FHD+ resolution.It expected to feature a water drop style notch on top of display with 19:5:9 aspect ratio.The entire size of the display will 6.4 inch and the phone will be measured as 155mm length,75mm width and 7.6mm thickness.It will also feature a n indisplay finger print sensor along with face recognition for security. 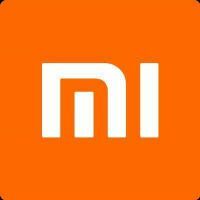 Under the hood,it will be equipped with Snapdragon 855 processor.The phone will have 6GB RAM and 128GB internal storage.The pre installed android version will be Android 9 Pie.In photography department,it expected to have a huge upgrade over it's predecessor.Backside of Mi 9 will have a triple camera system consisting of primary 48MP Sony IMX586 sensor ,12MP secondary sensor and a 3D time of flight camera.At front,it will feature 24MP Sony IMX576 camera for selfies.For supplying power it will backed with 3500 mah battery. The rumored Mi 9 is expected to launch with different storage and RAM variants.However,it's base model device price would be $450.